At Scone Palace in Perth, Scotland, a 1779 painting by portrait artist David Martin hangs. The artwork depicts two high-born women, both in lavish 18th-century dresses, and both gazing good-naturedly out from the painting. 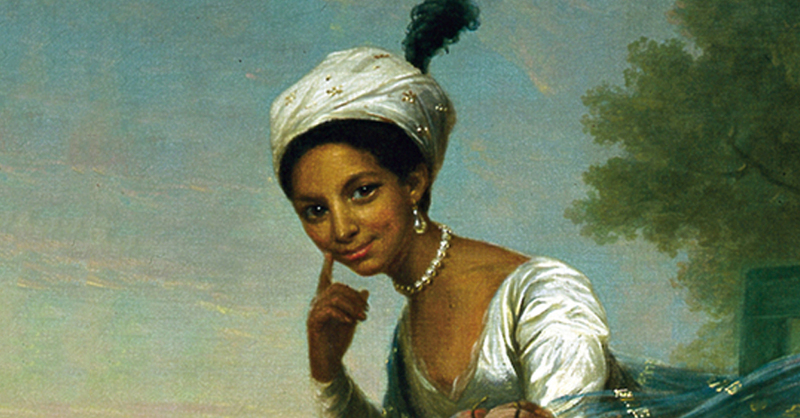 One of the women, now identified as Dido Elizabeth Belle, looks over with a cheeky, enigmatic smile, as if daring her viewer to figure her out. Indeed, her presence in the portrait may be surprising: Belle is black. Who is she, where did she come from, and why, in the socially stratified world of Georgian England, is she depicted in almost equal standing with her white, aristocratic companion? The answers to these questions require delving into the ugliest parts of British history—but in many ways, Belle was also the beginning of their undoing. Belle was born in 1761 in the West Indies to Maria Belle, an enslaved African woman, and Sir John Lindsay, an aristocratic naval officer who had taken Maria as a concubine after finding her on a Spanish slave ship. In 1765, Sir Lindsay transported his illegitimate daughter from the colonies back to his home in England, though it is unknown if her mother was for, against, or even consulted on this plan. Once in England, she became the ward of Sir Lindsay’s uncle, William Murray. 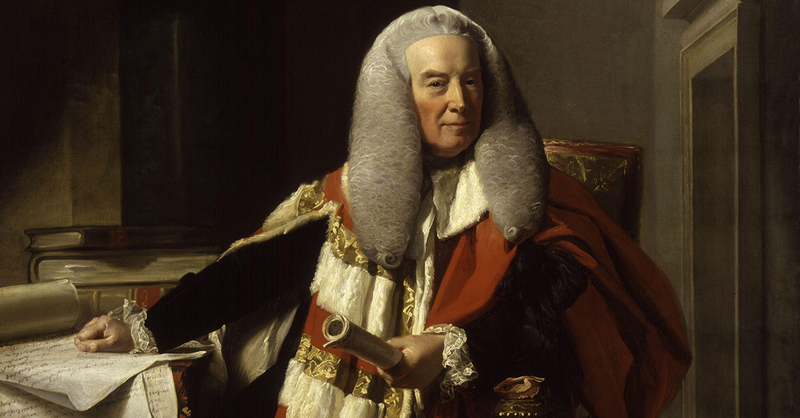 In an ironic twist, Murray was Lord Chief Justice, the second-highest judge in the country at a time where legal tensions over race, slavery, and freedom were reaching their peak. Growing up in luxury alongside her cousin Elizabeth, the second woman depicted in the portrait, Belle became an anomaly of her age: a mixed-race aristocrat who moved in some of the highest circles of Georgian society. But she wasn’t just an anomaly—she was a radical force. Allow me to explain. 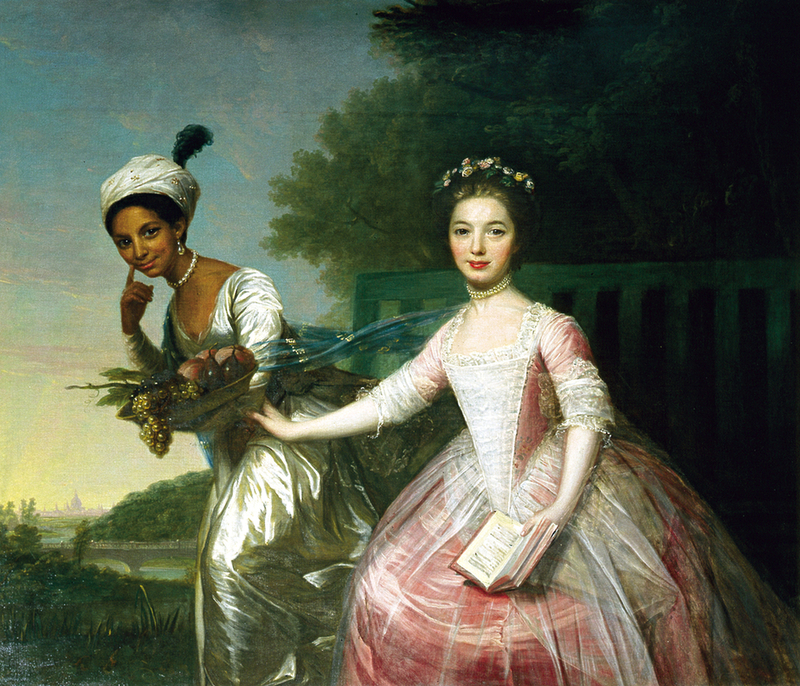 In 18th-century ideologies, class, whiteness, and worth were inextricably linked. High-born, almost exclusively white European people were naturalized as ideals of gentlemanly and gentlewomanly behavior. Their education, money, and power—things we have now come to see as nurtured privileges—were naturalized. In other words, rich white people just were better, and their station in society was their rightful place. However, these were certainly not inherent traits; they were borne on the backs of the lower classes and people of color. Or more specifically in Belle’s case, gained through the transatlantic slave trade. 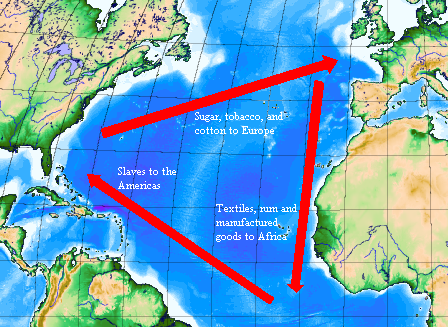 Britain’s triangular trade brought masses of wealth, land, and power to England’s ruling classes. It worked like this: England would provide manufactured goods to be shipped down to Africa to buy enslaved people like Belle’s mother Maria. These Africans would then be transported through the infamous “middle passage” to work in America, whereupon the ships would pick up raw goods (provided by slave labor) to carry back to England to turn into manufactured goods, starting the whole process over again. Efficient, harrowing, capitalist. Unsurprisingly, England’s ruling classes sought to distance themselves from the immoral labor they were extracting from the colonies and elsewhere, even as this labor kept their homes tastefully decorated, their dresses in the latest fashions, and the finest foods on their tables. In fact, they often used these very refinements to distinguish—and indeed naturalize—themselves away from the poor and the enslaved. That’s what we call systemic classicism and racism. It was incredibly effective, keeping the “white, rich, worthy” triad strong and pervasive. Then along came Dido Elizabeth Belle. Belle, by being educated and privileged in her class position but undeniably black, pried apart that supposedly inextricable triad. A person of color could take on the manners and propriety of a gentlewoman, proving worth—at least, as the aristocracy measured it—wasn’t the sole provenance of whiteness, and thus questioning the whole foundation and definition of that worth. She was also a reminder that white wealth was inextricable from the slave trade. Thiswas radical. Because, as will sometimes happen when an entire supremacist ideology is under threat, this also produced a metric ton of anxiety. Belle was something new, something dangerous, something liminal: mixed-race, aristocratic but black, educated but born of the poor colonies. In the face of her threat, whiteness and its supposed propriety closed rank, and her wealth privilege was not enough to cancel out the supposed sin of her being born black. According to some historians, Belle was treated as a “loved but poor relation” within the Murray family, and did not generally eat with formal guests because, although she was of the correct class, she was not of the correct race. There was one more problem: Belle was still a slave. This status as a slave further complicates Belle’s relationship to her white family and to her class position. She was not freed until 1793, when William Murray died and released her in his will, which also made her an heiress. That she was kept legally enslaved throughout his entire life painfully illustrates the absolute, structural inequalities she lived under, even as a member of the upper class and even as a “loved” relation of the Murrays. But then again, slavery as a whole in England died a slow death. In one of Justice Murray’s most famous cases, he declared that slavery was “so odious, that nothing can be suffered to support it,” yet it was supported. You see, there were too many colonists making money, rising in power, and solidifying their worth to shut it down. It would be decades until the Slave Trade Act of 1807 (ineffectively) banned the slave trade, and then another nearly 30 years for the Abolition Act of 1833 to ban slavery itself in most, not all, of England’s territories. Though the legacy of slavery is still felt today, these were seismic movements in Europe— yet amidst all these forces was Belle herself, an individual now finally free to live her own life. After Murray’s death, now in possession of a little of her own money, Belle married Frenchman John Davinier and birthed at least three sons; in one final irony, two of them went to work for the East India Company, a prominent force in England’s trading wealth. In 1805, she died at the age of 43. So when we look on Martin’s portrait of Belle alongside her white, wealthy cousin, we are both looking at a woman—with her own loves, joys, and heartaches—and at a system of power in a state of challenge. That system is strong, it has endurance, and the victories against it are always met with retaliation. And yet here Belle still stands, smiling.